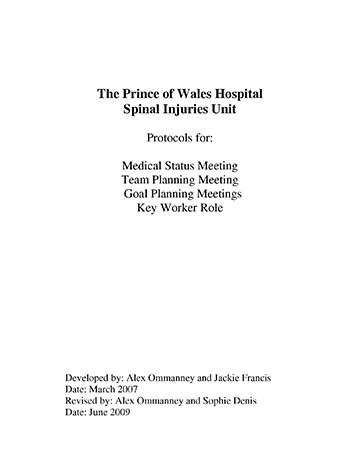 This is a document outlining the purpose and structure of the following meetings: medical status meeting, team planning meeting and goal planning meeting. It also outlines the role and responsibilities of the key worker (ie. similar to a contract person).